Instagram is one of the most popular social media sites in the world. Due to that reason, we decided to compile 30+ Great Instagram PSD Templates for Influencers that will showcase all of your stories and presentations. Each of these templates is extremely easy to use and fully customizable. You can choose from a variety of colors and designs. These templates are perfect for promoting your business or just showcasing your social media profile. The possibilities are endless. Give your next Instagram stories a creative and fun look with this ADL Instagram Stories.18. This template contains a modern sleek design alongside a sleek color scheme that will elevate the outlook of your images and photos. This template will help you to showcase and display all of your photography talents as well as your services and products with ease. Engage with your audience in the fashion world with this Instagram Fashion Banner template. This template is perfect for showcasing all of your fashion ideas and trends and sharing them with your followers and audience. Easy to use features and widgets will help you customize your fashion project or presentation in no time and with minimal effort. If you enjoy showing off your culinary ideas and best recipes then this Food Instagram Story Template is perfect for you. This template contains several different layout designs and color schemes that you can choose from to take your food stories over the top. Promote your latest menu or restaurant to your followers with this unique and professional template. With a classic and elegant black and white color scheme this template will add a pop of flair and professionalism to your next Instagram story. ADL Instagram Stories.26 is perfect for displaying your travel, portrait, business, or fashion images and pictures. With easy to use features this unique and elegant template will definitely help you create a mesmerizing presentation with ease and minimal effort. Instagram Fashion Banner is perfect for showcasing all of your fashion ideas and trends and sharing them with your followers and audience. An elegant bronze and gold color scheme will surely make your story stand out from the rest. Easy to use features and widgets will help you customize your fashion project or presentation in no time and with minimal effort. Promote your latest product and service with this Instagram Stories Kit (Vol.5). This template allows you to customize the color, text, and even size of any particular slide you are wanting to edit. Its beautiful design and color scheme will surely grasp the attention of your audience. So no matter if you are wanting to promote your fashion line or computer business, this template will surely help you accomplish all of your promotional goals. Advertise your new business and company with this simple yet professional Lifestyle Instagram Template. This template contains a beautiful rich white color scheme that will make your project the focus and not the template. This template will only enhance the visual aspect of your presentation with its easy to use and fully customizable features. If you like posting and displaying creative quotes then you need to add this Instagram Quotes Stories Template to your collection. This template has a variety of colors and layout designs for you to choose from. So no matter what type of quotes you are wanting to post, this template will surely help you to elevate their outlook and creativity. Give your next Instagram stories a creative and fun look with this Cara Instagram Stories Template. This template contains a modern sleek design alongside a sleek color scheme that will elevate the outlook of your images and photos. This template will help you to showcase and display all of your photography talents as well as your services and products with ease. Announce sales and special offers, launch a new product or promote your business with this Instagram Banners Template. This template allows you to customize the color, text, and even size of any particular slide you are wanting to edit. Its beautiful design and color scheme will surely grasp the attention of your audience. So no matter if you are wanting to promote your fashion line or computer business, this template will surely help you accomplish all of your promotional goals. Advertise your new business and company with this simple yet professional Promotion Instagram Banners Ads – 337PSD. This template contains a beautiful rich color scheme that will make your project the focus and not the template. This template will only enhance the visual aspect of your presentation with its easy to use and fully customizable features. If you like posting and displaying creative quotes then you need to add this Instagram Quotes Stories Pack to your collection. This template has a variety of colors and layout designs for you to choose from. So no matter what type of quotes you are wanting to post, this template will surely help you to elevate their outlook and creativity. Show off your Home Decor Instagram ideas and talents with this sleek and modern Minimal Home Dector Instagram Story Template. This template will help you to display all of your home decor images and photos and love for interior design to your audience and followers. With easy to use and fully customizable features, you will be able to create a stunning presentation in no time. Engage with your audience in the fashion world with this Fashion Instagram Story Template. This template is perfect for showcasing all of your fashion ideas and trends and sharing them with your followers and audience. Easy to use features and widgets will help you customize your fashion project or presentation in no time and with minimal effort. Increase your following on Instagram with this dynamic Instagram Stories Vol. 13. This template contains a variety of color schemes and designs for you to choose from so that you can find the perfect one for your presentation. Display your travel images or showcase your sport action photos with this easy-to-use template. Give your next Instagram stories a creative and fun look with this Instagram Stories Kit (Vol.7). This template contains a modern sleek design alongside a sleek color scheme that will elevate the outlook of your images and photos. This template will help you to showcase and display all of your photography talents as well as your services and products with ease. Promote your latest product and service with this Social Media Banners – Vol9. This template allows you to customize the color, text, and even size of any particular slide you are wanting to edit. Its beautiful design and color scheme will surely grasp the attention of your audience. So no matter if you are wanting to promote your fashion line or computer business, this template will surely help you accomplish all of your promotional goals. Impress your followers and audience by using this Instagram Stories #1. This template contains a minimal yet sleek design and a rich orange color scheme that will make all of your Instagram stories stand out from the rest. Display all of your products and services and all of your fashion ideas with this easy to use and customizable template. Advertise your new business and company with this simple yet professional Instagram Stories Template Vol. 4. This template contains a beautiful rich white color scheme that will make your project the focus and not the template. This template will only enhance the visual aspect of your presentation with its easy to use and fully customizable features. Announce sales and special offers, launch a new product or promote your business with this Multipurpose Startup Instagram Ad – 25 PSD. This template allows you to customize the color, text, and even size of any particular slide you are wanting to edit. Its beautiful design and color scheme will surely grasp the attention of your audience. 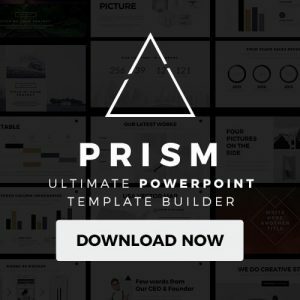 So no matter if you are wanting to promote your fashion line or computer business, this template will surely help you accomplish all of your promotional goals. Give your next Instagram stories a creative and fun look with this 30 Instagram Stories Templates. This template contains a modern sleek design alongside a sleek color scheme that will elevate the outlook of your images and photos. This template will help you to showcase and display of all of your photography talents as well as your services and products with ease. Elevate the visual aspect of your next Fashion presentation by using this stylish Instagram Fashion Stories Pack. This template contains a colorful and fun design that will make your fashion ideas stand out from the rest. So, whether you are wanting to display your latest fashion trends or wanting to promote your new fashion line, this template will help you accomplish all of your presentational goals. If you want to create an amazing promotional presentation for your next business or company, then, you need to use this Promotion Instagram Stories – 335 PSD. This template has many different designs and colors for you to choose from that will make your promo banners stand out. It’s perfect for promoting your fashion or photography business. Display and showcase all types of photos and images using this unique and dynamic BIG Collection Instagram Stories Onboarding Screen. This template contains a variety of designs and color schemes for you to choose from that will grasp the attention of your audience from the start. This template is perfect for promoting your business or just showing off your photography talents. Elevate the outlook of your next Instagram Story by using this sleek and fresh Instagram Stories Vol. 10. This template contains a simple and minimalist design alongside a subtle pink and white color scheme that will create a soothing feeling for your followers and audience. 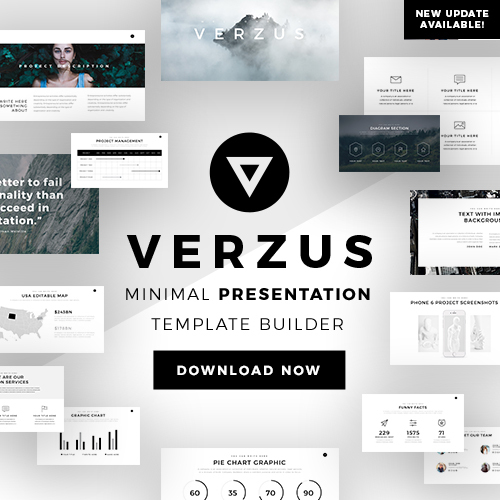 So whether you are wanting to display your fashion trends or your outdoor photos, this template will help you to create a captivating and mesmerizing project and presentation. Design an amazing Valentine’s Day Flyer Set with this unique and lovely template. This template contains Valentine’s Day themed design alongside a beautiful and rich red color scheme that will get everyone in the holiday mood. With easy to use and fully customizable features, this template will help you to make a flyer that will impress your audience and invite them to a fun and exciting Valentines day party. Increase your social media following using this Modern Instagram Social Media Pack. This template is perfect for spreading your social media accounts and showcasing your talents with all of your followers and audience. Its simple design and white color scheme will allow your presentation to be the focus of your project and not the template. Promote your hair salon business with this simple yet stylish Hair Salon Social Media Pack. This template is composed of a minimalist design alongside a red and white color scheme. This template is perfect for showcasing all of the hairstyles your hair salon offers and all of the prices and promotions your hair salon has. So if you want to elevate your hair salon business, this template is for you. Customize all of your photos and images with this elegant and bold Onyx – Instagram Story Templates. This template will help you to showcase all of your edits with style and professionalism. So if you want to impress your followers and audience, then you need to add this creative and unique template to your collection. If you are a woman then you need to add this empowering template to your collection. This Feminine Artist Styled Instagram Mockups will allow you to showcase all of your feminine talents while also sending empowering messages to all of your lady followers. You can use this template to post an inspiring quote or just facts about women that you deem important for them to know. Give your presentation a natural feeling with this Sage – Instagram Story Templates. This template contains a creative nature-themed design that will surely make your presentation stand out from the rest. This template can be used to showcase your outdoor or travel pictures or just to give your next presentation a more creative and fun look that will elevate the visual appearance of it. If you enjoy showcasing your love for fashion then you need to download this one of a kind Fashion Instagram Animated Posts template. This template contains a variety of designs and color schemes for you to choose from that will take your future fashion presentations to the next level. You can also promote your fashion business by displaying your latest styles and products for your followers and audience to see. Showcase all of your social media talents using this ADL Instagram Stories.20. This template contains a beautiful design alongside a rich color scheme that will grasp the attention of your audience from the start. This template is perfect for creating promotional banners or just displaying your latest photo shoot. Dazzle your followers with this colorful and creative Fresh Instagram Post & Instagram Story Template. This template will help you grow your social media following while also helping you to showcase all of your creative and professional posts. With easy to use and fully customizable features, this template will help you create a mesmerizing project in no time. If you enjoy sharing your personal posts and images to your followers than you need to add this fun Instagram Stories Vol 1 to your presentation. This template is extremely versatile and can be used for various types of presentations such as fashion, sports, or business. Its elegant and fun design will surely make your next Instagram story presentation stand out from the rest. If you want to create a flyer presentation that will help promote your business and products then using this Living Coral Sale Flyer Set will help you accomplish that goal. This template contains a flyer themed design alongside a rich red color scheme that will make your text and images stand out. Its easy to use and fully customizable slides will help you create a persuasive project presentation and promotional banner in no time and with minimal effort. If you like boldness and color than you will enjoy this amazing and creative Duotone Instagram Post & Instagram Story Template. This template contains a duotone color scheme alongside a bold design that will grasp the attention of your audience in no time. Use this template to edit your images and photos or to showcase your products and services. This template will surely impress your audience and create a sense of urgency to follow you and seek more of your posts. We have shown you 30+ Great Instagram PSD Templates for Influencers in the market at the moment. Each one has its own unique flair and style. 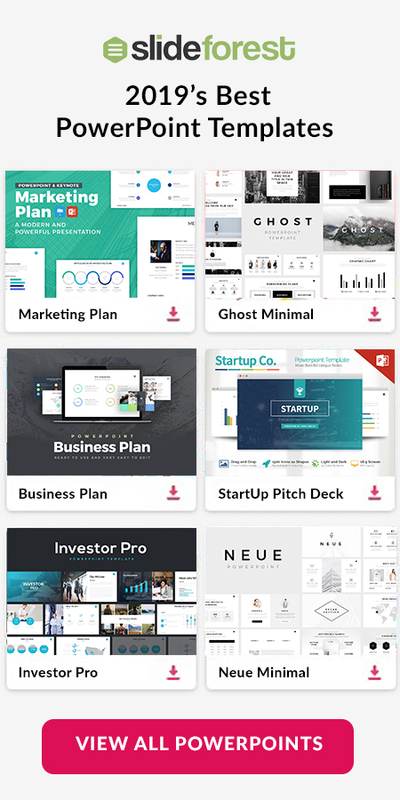 Each of these templates is surely going to elevate the visual and professional outlook of your next Instagram presentations. So what are you waiting for? Download some of these templates and watch how they gain and grasp the attention of your audience in no time.